A: There is actually no better time for your baby to learn two languages. Did you know that when your baby is born their ear cans hear all the sounds in every language. it is like their ear is open to distinguishing and then learning. Over time their ear tunes in to the language & sounds they hear around them. The ability to hear every sounds lasts until about 6 months of age. From 6 months onwards their ear starts to tune out sounds from other languages only attending to the sounds (languages) they are hearing around them. 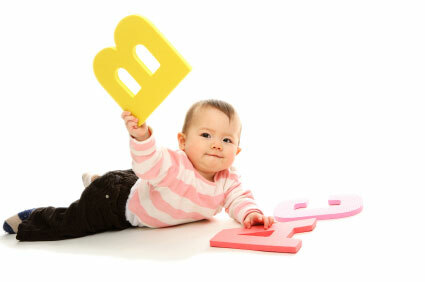 By 12 months of age their ear has tuned into their language around them and tuned out other sounds. So what does this mean as a parent with a baby and wanting them to learn a second language? It means the earlier you start the better! If you want your child to have that 'natural' accent and ear for a language then certainly they need to be exposed to that language early ie under the age of 1. It certainly doesn't mean that if they haven't they never will be able to learn another language it just means under one is ideal and easier for them. One certainly does wonder if babies- toddlers will become confused if there is two languages at home however there is certainly some great tips in this area of language development. One main tip is to only have one parent that speaks say 'English' and the other parent just sticks to 'German'. It is swapping between the two that becomes a little confusing for some kids though they do tend to distinguish. Also make sure that they are fluent in the main language of their community ie. English so that they can mix with other children at the park, kindy etc. it is a disadvantage to them if they are fluent in another cultural language as that is what say, mum speaks at home but not fluent in 'English'. You will also be surprised at how quickly you baby learns both.